SINGAPORE - The daughters of a 58-year-old man who died in a motorcycle accident in the wee hours of Monday (Nov 6) have turned to social media to appeal for information on what happened to their father. 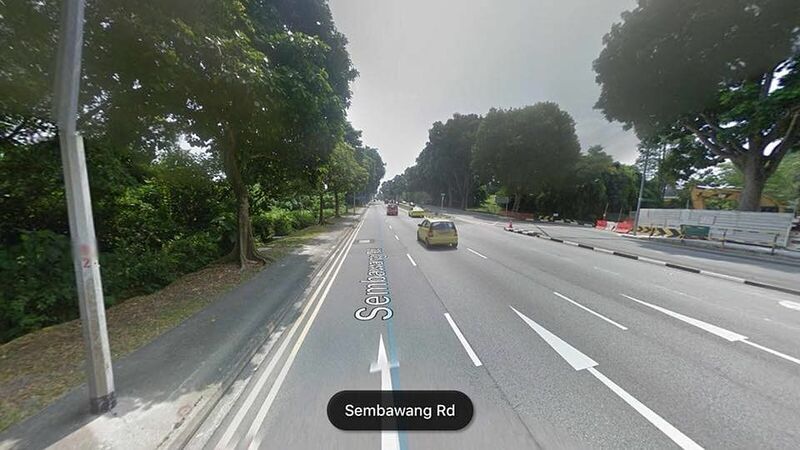 Mr Chia Weng On is believed to have skidded on his motorcycle at around 1am along Sembawang Road towards Gambas Avenue. He was taken unconscious to Khoo Teck Puat Hospital, where he died. However, he was found without his belongings including his wallet and phone, his daughter Felicia Chia, a 27-year-old financial adviser, told The Straits Times on Friday. "He lost his belongings, his wallet and bag, and even his helmet was gone," she said. "It wasn't a collision, it was like he self-skidded, but when the police were there, there were no belongings at all." The police told ST that they were alerted to the accident at 1.05am on Monday and they are investigating the case. Ms Chia's older sister turned to Facebook to ask for witnesses and information. She wrote in a post on traffic page Roads.sg on Tuesday: "Dear everyone, I am appealing for witnesses on behalf of my father in a fatal motorbike (FBK 4514B) accident." Ms Chia said the police told her that her father was lying on the grass patch beside the road, and a passer-by performed cardiopulmonary resuscitation on him. "We want to find witnesses to know exactly what happened to my dad," she said. "How it happened, and did any car pass by with dash cameras (with useful footage)." Her father was a taxi driver and avid motorcyclist who had been riding for more than 30 years. "Sunday was his off-day, on Sundays he will find time to go out on on his bike," said Ms Chia. "Normally we won't ask him where he's going, or what time he's coming back." She said she was woken up by her mother around 3.30am that day. Frightened, her mother said there were knocks on the door. Just then, the phone rang and Ms Chia answered it. "It was the traffic police. The officer asked me if I am the family member of Chia Weng On, and if I can make a trip down to KTPH now," she said. "I asked him how is my dad and he said he didn't make it." She went with her mother to the Singapore General Hospital to identify the body, where it had been transferred for an autopsy. The grief comes and goes, said Ms Chia. She said her father was a charitable man, and although he could be loud, he was a caring man who provided for his family. "When he was younger he liked to ride bikes to Thailand," she said. "He drove the night shift so every morning he would buy a lot of food to make sure my mum, my sister and I had food to eat before going to work." So far, the family has not received any information relating to the accident. Those who have information may contact Ms Chia at feliciaxfx@gmail.com.